"Where Does the Water in Our Oceans Come From?" Water is one of the most abundant chemical species in the universe, and essential for the origin of life (as we know it) on Earth and on the many exoplanets that have now been identified. But where does all the water in our oceans come from? Recent observations, in particular with the Herschel Space Observatory, show that molecules such as water are formed in the very tenuous clouds between the stars that are present throughout the entire Milky Way. The latest results on water gas and ice in protostellar sources will be presented and the evolution of water and the oxygen reservoir from clouds to new stars and planets will be discussed, together with predictions for JWST observations. An important clue on how this water is delivered to planetary systems comes from measurements of heavy water, HDO. The Rosetta mission has found surprisingly high values for the HDO/H2O ratio in comet 67 P/C-G. The implications of this measurement for the origin of water on Earth will be discussed. 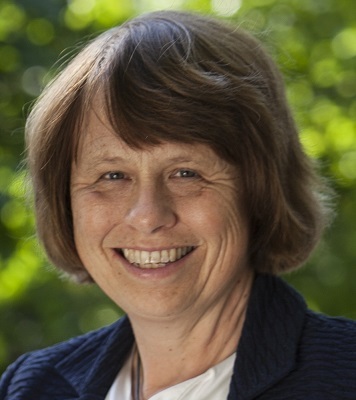 Ewine F. van Dishoeck is a professor of molecular astrophysics at Leiden University, the Netherlands, and external scientific member of the Max Planck Institute for Extraterrestrial Physics in Garching. She graduated at Leiden University, and held positions at Harvard, Princeton and Caltech from 1984-1990. The research of her group is at the boundary of astronomy and chemistry and uses ground- and space-based observatories to study the molecular trail from interstellar clouds to planet-forming disks. She holds many national and international science policy functions, including scientific director of the Netherlands Research School for Astronomy (NOVA), president-elect of the International Astronomical Union, and co-PI of the JWST-MIRI instrument. She has been fortunate to receive the Dutch Spinoza award and the Dutch Academy Prize. She is a Member of the Dutch Royal Academy of Sciences, and Foreign Associate of the US National Academy of Sciences and of the American Academy of Arts and Sciences.